www.PhoneShop.co.uk - The Smart Choice! 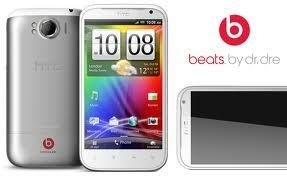 The HTC Sensation XE is inspired by music. With the Beats by Dre emblem proudly presented on the rear cover, it’s obvious from the start that the XE is more than just another music phone. Set the XE’s music credentials to one side and you’re left with one of the most powerful mobile HTC has ever produced. A dual core 1.5GHZ chip put the XE’s power on par with the iPhone 4S and loaded with Android 2.3.4 (soon to be upgraded to version 4.0 Ice Cream Sandwich) the XE really does punch above it’s price. Speaking of price, Sensation XE contract deals are nearly 20% cheaper than tariffs on the 16GB iPhone 4S and other than the inflated brand appeal of Apple, we’re really struggling to figure out why. Apart from Siri (who’s only helpful around 10% of the time anyway), it’s difficult to see why you wouldn’t at least consider the Sensation XE as on of the best alternatives to the 4S. £25 per month (after automatic cashback) will give you a contract with unlimited texts and around 500 any network minutes and that’s with no upfront handset cost ether. Compare Sensation XE contracts with the iPhone 4S and you might think twice about opting for the latter. 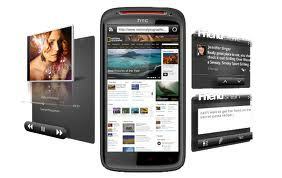 Compare HTC Sensation XE Contracts and Deals – At PhoneShop.co.uk we search through thousands of UK mobile deals to find the deal that’s right for you. The big brother (and we mean that literally) to the Sensation XE is the Sensation XL. What the difference between the Sensation XE and the Sensation XL? Apart from being white, the XL sports an enormous 4.7 inch screen (unlike the XE’s 4.3 inches) but like the XE comes with beats audio technology built in. The Sensation XL’s screen is of a slightly lower resolution to the XE as size takes precedent over pixels. HTC Sensation XL contract deals are priced in th same region as the XE with £25 offer unlimited texts, 600 minutes and 250MB data. Both the XE and XL are offered on contract from any network with T-Mobile an Orange offering the best deals with data included. 12 month contracts are available on both the Sensation XE and XL with the cheapest offers on either handset around £30 per month. Our advice is to buy on a 24 month plan and reap the rewards of a cheaper monthly cost. Contracts with unlimited data are currently only being offered by Three. The best deals with inclusive data again are from Orange and T-Mobile who provide 500MB of data on a 24 month tariff for around £30 per month. How much data is enough? It depends on usage, but we’d advise casual users to go with at least 500MB as going above your allowance can be costly. What do you give to the phone that has everything? If you’re HTC, a mobile phone manufacturer known for innovation, you give it some incredible sound technology to make it a serious portable music device. This is exactly what they’ve done with the HTC Sensation XE, which has all the enduringly popular features of the classic Sensation (some have even been upgraded, but we’ll get to that in a minute), plus the luxury audio experience provided by Beats Audio technology. HTC’s recent acquisition of around 50% of the Beats Electronics company has resulted in this shiny new addition to the smartphone world, and has music lovers and gadget heads buzzing. But does the phone live up to the hype? And does it spell the end of the mp3 player? In answer to the first question, we think the XE represents a significant and impressive improvement in the sound quality of the Sensation. Armed with a pair of Beats headphones endorsed by Dr Dre no less (and provided in the box), you can make use of the Beats audio manipulation technology to provide a sharper yet bassier sound than one would expect from a phone. Cleverly, the Beats technology is triggered automatically whenever you plug in your Beats headphones. The increased bass will please many, although some might be put off by the slightly scuzzy vocals which result. There is always the option to turn this technology off and go with the Sensation’s perfectly respectable inbuilt audio package, although as Beats technology is the main selling point of the phone, it seems an unlikely scenario. Pleasingly for fans of the development, the Beats technology has been rolled out to video player to enhance your viewing experience too. 1GB available user memory is hardly enough to contain a substantial audio file collection, but luckily there’s space for a 32GB microSD card, so owners of this phone really can listen to much of their mp3 library on their Beats enhanced phone. This still doesn’t hold a candle to HTC’s other Beats-enhanced phone, the forthcoming Sensation XL, which will have a remarkable 16GB inbuilt storage capacity. Whether either phone is a viable replacement for the mp3 player is highly debatable, especially when you consider that mobile phone cameras haven’t made freestanding cameras redundant. The delicacy of smartphones like the XE means they might not be an ideal choice for runners and gym heads, or indeed anyone who lives in fear of scratching their screen, and listening to music will zap the battery rather fast. A hardy old mp3 player may be a better choice in many circumstances. 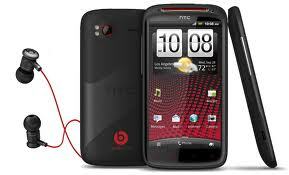 However the phone will be a valued additional piece of kit to anyone who enjoys music on a frequent basis. The HTC Sensation XL or ‘Runnymede’ as it was code named is likely to hit the public domain on the 6th October and should be in the hands of UK networks by late October. Other upgrades to the Sensation model make the XE an attractive phone indeed. The already impressive dual core processor has expanded to an astonishing 1.5GHz, making the XE the slickest HTC operation yet. The XE can multitask without a hint of a shudder, and its apps spring to life with the speed of a tightly cranked wind-up toy. A bigger battery has been included to head off inevitable concerns about processors draining the power (it has grown slightly from 1520 mAh to 1730 mAh), but this merely offsets the increased processor rather than dramatically improving on the rather poor battery life of the Sensation. With the 3G turned on you can expect around 7 hours and 20 minutes of talk time before the phone pegs out, which is acceptable but not outstanding. You may still have to bring your charger with you if you’re out for long periods of time. Physically, everything looks much the same on the XE as it does on the Sensation, although the icons on the handset have been picked out in red, making an attractive phone even more so. The reassuringly sturdy aluminium unibody also remains, and the whole thing looks luxe yet businesslike. Its gorgeous 4.3 inch touchscreen boasts a qHD 540 x 960 resolution, enough to satisfy even the most demanding smartphone aficionado. The high quality 8 megapixel camera now has instant capture technology, taking the picture at the instant you press the shutter, making this phone attractive to the casual photographer as well as musicos. Other strong features include autofocus, dual-LED flash, geo-tagging, face detection and image stabilisation. You can also capture videos of fairly average quality if you so wish. Software development hasn’t been overlooked either. Sensation XE’s browser is frankly superb, with multi-window capabilities and an increased speed which may or may not be down to the phone’s enormous processing power. Up to the minute Flash support is included, so video playback becomes a smooth and bug-free experience for the most part. Even the lock screen has been revolutionised, so that you can see updates from your friends on your display while the phone is locked, and without pressing a single button. As an added bonus, the home screen of the phone is enabled for all kinds of fun widgets, and also reflects the weather conditions outside, a bit like the magic ceiling in Hogwarts. The ability to watch snowflakes flutter past on your home screen may not be of huge importance, but it’s enough to raise a smile in every big kid, and increase the highly intuitive feel of the phone. And of course, the same solid and reliable GPS which graced the Sensation is featured on the XE, allowing you to navigate unfamiliar locations with ease. All these great features run on the trusty Android Gingerbread platform, 2.3.4 version- an operating system shared by Samsung’s bestselling Galaxy S2. It proves itself more than up to the task with the Sensation XE too. The XE won’t be available nationwide until early October, but all the indications are that it when it is it will fetch a price around the £500 mark, and getting one on contract may tie you into a £30 monthly deal for up to 24 months. Is it worth it? It is hard to fault the XE on any aspect of the user experience it provides, and the additional audio enhancement is both exciting and innovative. However, true music lovers may want to wait and plump for the forthcoming XL, which will contain far more memory for their library of music files. If rumours prove correct, a Samsung/Bose partnership is busily producing an audio-focused rival to the XE and XL, so HTC must continue to innovate if they wish to stay ahead of the game. Those not tempted by the audio enhancement of this phone will be equally happy with the original Sensation model, a popular and bestselling favourite in the smartphone market , or perhaps an iPhone or Samsung Galaxy S2. The XE blazes a trail with its new audio features, but it cannot rest on its laurels, as it may yet find itself in a crowded market. iPhone 4S, Galaxy S 2 or Sensation XE? If you’re in the market for the latest super-smart phone you’ve more than likely come across the most recent offerings from Apple, HTC and Samsung. The highly acclaimed iPhone 4S, the best selling Samsung Galaxy S 2 and the musically inspired HTC Sensation XE are all ground-breaking in their own right. But which one should you buy? 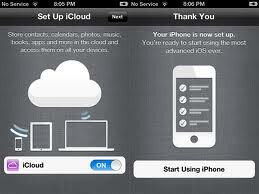 The iPhone 4S is the most expensive handset on offer by any of the major UK networks. Around 15%-20% more expensive than than similar contract deals on the Samsung Galaxy S 2 and HTC Sensation XE, you’d be either stupid or very wealthy not to at least consider the alternatives. When you compare iPhone 4S contracts, be sure to take in account the handset cost. With the 4S you can either stump up the cash up front (around £200 on a £30 per month, 2 year contract) or choose to spread it over the course of your contract by paying a higher monthly cost. However, even if you go for the ‘cheaper’ 16GB version, you’ll still fork out more than £250 extra per compared to the Sensation XE or Galaxy S 2 on the same tariff. Galaxy S 2 and HTC Sensation XE contracts are very similarly priced – around £25 per month for contracts with 500 minutes, 500 texts and 500MB of data (oh, and you won’t need to pay for your handset either!). If a £250 saving sounds more attractive than asking Siri the directions to the nearest bank, the Galaxy S 2 and Sensation XE are certainly worth considering. The Galaxy S 2 is more common than the clap amongst today’s youth and the 4S is flying off the shelves faster than (insert joke). The rules of cool mean that if everyone has it, it’s no longer cool. The Sensation XE on the other hand is quite rare compared to its ‘common as muck’ counterparts, but don’t think that’s because it’s inferior. The XE is one of the most powerful phones on the market today, let alone it’s Beats by Dre party piece. Go for the 4S and in a month no-one will care. Choose the Galaxy S 2 and you’ll blend in like (insert joke). The XE is the only mobile of the three that offers even a hint of cool (just make sure to keep those expensive Beats by Dre headphones safe to avoid passing your coolness off free of charge to stylish muggers!). It’s not long before the Samsung Galaxy S 2 and HTC Sensation XE will start being shipped with the very latest version of the Android OS, dubbed’ Ice Cream Sandwich’. Android 4.0 brings some significant improvements and new features from ‘Gingerbread’ including an all new notification center, camera interface and endless all round tweaks that serve to make this latest incarnation of Google’s prized OS the best yet. Ice Cream Sandwich also features voice to text functionality similar to Siri, although it’s not quite as intuitive. The updates this OS has brought mean the Galaxy S 2 and Sensation XE can certainly compete with the likes of the 4S and iOS5 (in fact a lot of the cloud based functionality seen on iOS5 was already present on Android ‘Gingerbread’ and peripheral services from HTC and Samsung such as cloud contacts and ‘find my phone’). However, for us, iOS5 still pips Android to the post and takes the cake (or ice cream in this case), but there’s not a lot in it. Which is better, the iPhone 4S, Galaxy S 2 or HTC Sensation XE? When it launched, the original iPhone 4 offered significant improvements over it’s predecessor, the 3GS but was soon challenged by cheaper and in some cases better performing phones from HTC and Samsung. With the 4S , Apple has once again created a phone that extends the capabilities of hardware and software beyond the current competition, but only just. Android 4.0 offers a far more polished experience that’s far closer to being on par with Apple’s iOS than it ever has been before. Once the Galaxy S 2 and Sensation XE are armed with Ice Cream Sandwich, only Siri, a slightly better camera and Apple’s brand appeal set it apart from these much cheaper alternatives. Here’s our advice. If you want the best of what a mobile phone can do, regardless of price, then buy the iPhone 4S. If you want a phone that’s oh so nearly as good but don’t fancy breaking the bank to get it, go for the Galaxy S 2 or HTC Sensation XE. Whether you choose to buy the XE or the S2 should depend largely on how much you value those Beats by Dre headphones, because apart from that there’s very little between them. 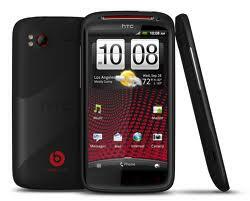 You can compare conracts on any one of these phones here at The Phone Shop .co.uk. 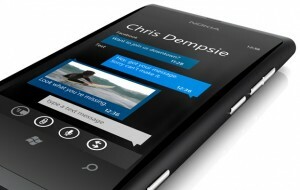 Mobile phone giants Nokia describe the Lumia 800 as “easier, faster, funner”. Building on technology used in previous handsets – the Nokia Lumia 800 is the more expensive of two new Nokia Windows phones (the other being the budget Nokia Lumia 710 model). Display-wise, the Nokia Lumia 800 includes a 16-bit AMOLED ClearBlack display (as per the Nokia N9 model), whereas the Nokia Lumia 710 incorporates a 24-bit ClearBlack TFT display. Although the depth of colour could be deemed as slightly superior on the Nokia Lumia 710 display, the AMOLED screen used on the Lumia 800 is generally considered as ‘better’ technology, due to improved contrast ratios and a more vivid colour display. Looking for contract deals on a Nokia Lumia 800 ? – We compare the market for the best Nokia Lumia 800 deals. The screen size of the Nokia Lumia 800 may seem slightly small (3.7”) when compared to competing handsets such as the HTC Titan (4.7″) – however, it’s important to note that all comparable handsets on the market are also limited to the same 800 x 480 pixel resolution. Size-wise, the Nokia Lumia 800 measures in at 116.5mm x 61.2mm x 12.1mm and 142g – making it a reasonably lightweight and streamline phone. When compared directly to the HTC Titan (131.5mm x 70.7mm x 9.9mm and 160g) – it is slightly thicker in design – a point that many people will squabble about. However, all in all, the Nokia Lumia 800 is a great-looking and highly functional handset – it uses a smooth curved design for ease of use, either with our without the protective case (usually included with the initial purchase). Exploring the palm-friendly and sturdy unibody design further, the Nokia Lumia 800 features top-mounted flaps to cover the charging port and SIM slot – great for users who are frequently on the go – along with a microSIM, which would seem to be a very en-vogue option for newer smartphones. The Nokia Lumia 800 appears to share its overall design with the previous Nokia N9 model (a handset that received considerably less hype upon hitting the market) – although the Nokia Lumia 800 screen size has been reduced from 3.9″ (854×480 pixels) to 3.7″ (800×480 pixels) in order to conform to Windows phone specifications (the Nokia Lumia 800 is the first Windows phone model to be launched following the Nokia/Microsoft collaboration announced in Feb 2011). So, the Nokia Lumia 800 certainly cuts the mustard aesthetically-speaking, but does it contain the backbone required to stand head and shoulders above its counterparts? The answer to this would appear to be yes – the Nokia Lumia 800 holds some impressive technology within its sleek chassis. 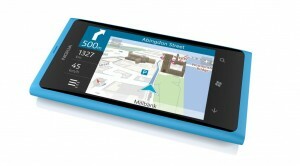 With a 1.4GHz MSM8255 Snapdragon/Scorpion CPU (building on the 1GHz ARM Cortex-A8 CPU version) – the Nokia Lumia 800 navigates Windows Phone Mango OS with ease. You can also expect 16GB of fixed internal storage, that’s more than enough room for the storage of media (and much improved on both the Nokia Lumia 710 and HTC Radar, both of which offer just 8GB of storage). Clearly, the Nokia Lumia 800 is different to previous Nokia models as it runs on Microsoft Windows Phone software. The handset uses the latest Mango version – with a number of useful features including support for multi-tasking. The CPU certainly does allow for quick and seamless browsing and tasking. The home screen alone is very easy to navigate – the display shows a column of “live tiles” that helpfully update with new information (for example; social media network updates and any unread messages that you may have received). You can also pin pictures, contacts, applications and a number of other items to your homes screen for quick, shortcut access. On opening an application, you will see a super cool flip-effect, repeated when you return back to the home screen. If you’re an avid social media fan – networking is pre-built into the Nokia Lumia 800 OS. People Hub collects all of your contacts in one central place and displays feeds to you from your Facebook, Twitter and LinkedIn profiles. You can also use the messaging application for easier conversations – jumping between social media messaging and text messaging quickly and with little fuss. As a slight drawback to using OS, integrated Bing Maps are slightly poor – not showing as many street names as you would expect when using Google Maps on Android or the iPhone, on a standard zoom – this appears to be a commonly-experienced problem with Bing Maps. Additionally, cutting and pasting can be a little complicated, due to the text selection tabs being slightly on the small size and OS does not as yet support Adobe Flash, meaning that you cannot view videos on some websites (i.e. BBC iPlayer). Gorilla glass encompasses the Nokia Lumia 800 screen and three Windows Phone touch buttons can be found at the bottom of the handset, allowing for quick navigation and providing a smooth overall look. The only physical buttons to be found on the Nokia Lumia 800 are the ones that are mounted on the right-hand edge of the handset. In this spot, you will find the lock button, volume rocker switch and a dedicated camera button. As with other Windows Phone handsets on the market, the dedicated camera button allows you to jump directly to the camera function – even when the phone is on standby mode – by simply pressing the button and holding it down. Unfortunately, the Nokia Lumia 800 does not include a front-facing camera (as per the HTC Radar and Titan). This means that you cannot use the camera for video calls or take advantage of the video conferencing features offered by Skype. The camera does have an 8-megapixel sensor and Carl Zeiss Tessar optics – and it is more than capable of taking good photos – however, it has been reported that the camera is somewhat fussy about having the correct ‘optimal’ conditions. Also, it has been noticed that the camera is a little on the slow side when focussing – and at times can obtain less than accurate focussing, especially when taking close-up photographs. Working indoors could also prove to be a little problematic – the camera’s flash certainly helps a lot, however, photographs may contain a little more ‘noise’ than those taken with superior cameras (i.e. the one included in the iPhone 4S). So what does that mean? Well, although the camera incorporated into the Nokia Lumia 800 might be sufficient for everyday snaps – it may not be capable of producing crystal-clear photographic works of art. 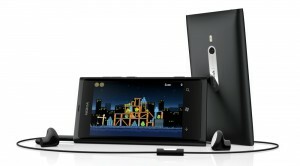 Video-recording wise, the Nokia Lumia 800 has the ability to record at up to 720p resolution. If you compare this to rival handsets – i.e. the iPhone 4S or Galaxy S2, both at 1,080p – it’s clear to see the difference. However, 720p resolution still offers a fairly high standard of recording, with a reasonable level of sharpness. Again, the Nokia Lumia 800 will work very well for everyday recordings, however, as with the majority of smartphones, the more movement that you have in a frame, the more likely the detail levels are to drop off. A slight bug has also been reported with the video recording mode – in that, when first switching to video mode the camera can have problems when trying to refocus. Elsewhere on the Nokia Lumia 800 exterior you will find a standard 3.5mm headphone jack (for headphones/speakers etc. ), at the top corner, and directly next to this a micro USB port for charging of the handset and any syncing processes. Along the top edge of the handset there is a sliding cover that provides easy access to the SIM card slot when opened. It’s important to note that, as with the iPhone, the Nokia Lumia 800 uses a micro SIM – this means that you will have to cut full-size SIM’s down to size if you want to use them with this handset. As the popularity of micro SIM’s grows, this may not be an issue in the near future, however, it’s definitely worth noting if you tend to use multiple SIM/handset combinations. In summary, the Nokia Lumia 800 may just live up to its tag of being “easier, faster, funner”. It’s certainly a very easy handset to use, and it’s perfect for keeping up to date with contacts on social networking platforms. The Nokia Lumia 800 also looks amazing and the handset is reassuring solid in design – indicating that this is a handset that is built to last. The software provided by this Windows Phone is perhaps not the most exciting we at PhoneShop.co.uk have encountered, but certainly, you will get a good amount of essential applications and features with the Nokia Lumia 800 – and top-notch technology. Perhaps the main sticking point with the Nokia Lumia 800 is the smaller screen size. Sure, the iPhone has achieved massive success with a comparably small 3.5” – however, in a media-driven world, many users simply may not be happy settling for a 3.7″ screen. Collectively, we seek a vastly improved internet and media experience with our new handsets – and for this reason alone, many people may not consider the Nokia Lumia 800 as their first choice. Additionally, many people may be unimpressed by the lack of a front-facing camera, the average camera quality and the large price tag. However, if you’re looking for great storage and top-notch technology – the Nokia Lumia 800 may just be for you. 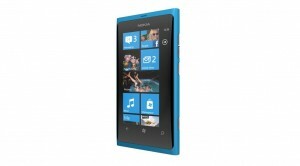 Widely billed as directly competing with the HTC Titan – the Nokia Lumia 800 is a great all-round handset and is available on monthly contract, PAYG and sim-free. 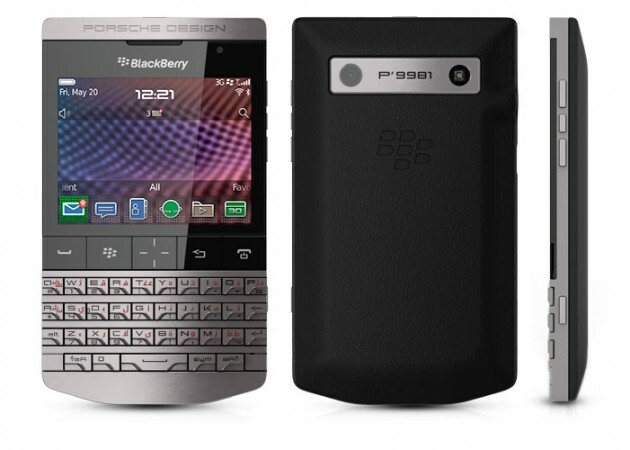 If you are looking for a mobile phone which combines the latest in technology with stylish design, take a look at the Porsche Design P’9981 Smartphone from BlackBerry. Styled by the same design house which produced the iconic 911 sportscar, the P’9981 is a sophisticated mobile for the discerning user. It’s available sim-free from the department store Harrods at £1,250. The P’9981 is unlike any other mobile on the market. Finished in a futuristic stainless steel case with a leather back cover, it makes the swathes of black plastic mobiles look outdated. Porsche Design’s logo is at the top of the phone. It retains the same Blackberry design as the Blackberry Bold 9900 it’s loosely based on, with a 2.8″ display sitting on top of a sculpted QWERTY keyboard. Measuring just 115 x 67 x 11mm, it will slip comfortably into a jacket pocket, and weighs 155 grams. The P’9981 has a bold 2.8″ touchscreen that displays crisp text and images at a 640 x 480 pixel resolution. It includes Blackberry’s new ‘Liquid Graphics’ technology for faster touch responses. Web pages are easy to read and watching videos on the phone is a joy. Viewing angles are so good you can see the screen from even the most acute angle with no loss of colour. The 5 megapixel camera is perfect for taking photos and videos of your friends. You can take shots quickly with the phone – a couple of seconds – ready to be uploaded to Facebook. A powerful LED flash makes it ideal for low-light conditions and the sharp images taken makes the P’9981 one for budding photographers. 8GB of flash memory should provide plenty of space for your snaps. You can record video in HD (720p) and shooting in the dark is great thanks to the LED. One neat feature is that you can pause and resume shooting without it automatically creating a second clip. Video quality is good and looks superb on a HD TV. A speedy 1.2 GHz processor and 768 MB of ram powers the latest Blackberry 7 OS. Connectivity is great as you might expect from a Blackberry – synching your Facebook, Twitter and other contacts is incredibly easy thanks to the setup wizards. A fast web browser and a premium version of Docs to Go lets you work on the go. Wikitude, a ‘real world’ browser is also pre-installed. The music player delivers great sound and you can access the Amazon MP3 store right from the phone. HD video clips can also be played. Blackberry Maps is included so you’ll never get lost. P’9981 users also get their own unique PIN number to identify it as something special to other Blackberry messenger users. Like most smartphones, the P’9981 has a microSD slot, Bluetooth, 3.5G support, Wi-Fi and GPS. The usual sensors (accelerometer, magnetometer and proximity) are built-in, too. Updating Facebook and Twitter on the go is quick and you can browse the web from thousands of Wi-Fi hotspots in the UK. You should get a day’s worth of power from the battery, depending on usage. If you want a top of the range mobile phone which is unlike anything on the market, take a serious look at the P9981. Its Porsche styling, excellent camera and fast processor make it stand out from the crowd. If you are looking for a tablet which has the latest in technology, or need a good alternative to a laptop, why not look at the LG Optimus Pad? Featuring a 3D camera, high-resolution 8.9″ display and Android’s “Honeycomb” OS, it has everything you are looking for in a top of the range tablet, and is available for around £380. Finished in matte-grey plastic, the Optimus looks smart and business-like. A brushed silver effect around the sides makes a nice contrast. 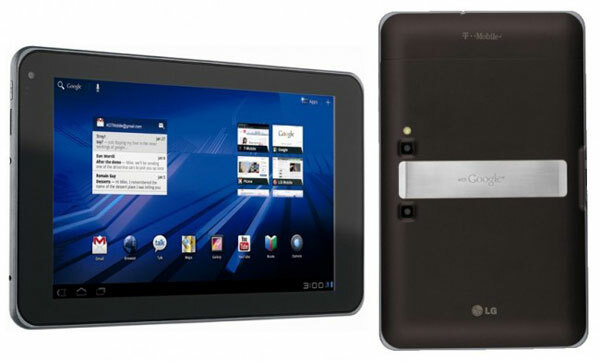 It’s a 8.9″ tablet, so it sits comfortably between smaller rivals such as the Blackberry Playbook and the 9.7″ iPad 2. The size is intended to provide both portability and enough room to watch films on. It’s extremely comfortable to hold with one hand and moving it from one room to the other shouldn’t give you any strain. There are few buttons on the tablet – just a power/standby switch, volume dial and charging port at the top. USB and HDMI connections are at the bottom. There’s also a front facing 2 megapixel camera for video calls and two 5 megapixel cameras at the back for the 3D camera. A standard sim card will fit in the 3G slot. The 8.9″ screen is one of the tablet’s selling points. It can display text and images crisply with a 1,280×768 resolution. The size is perfect for watching films and playing games on the go. There are excellent viewing angles and contrast is great. The 3D camera is the highlight amongst its features. It can record video in 3D, ready to be played back on your 3D TV. This is quite cool and people, cars and other objects seem to jump out at you. There are 4 modes to capture 3D footage: Mixed (combines images from both images to show what it looks in 2D), Anaglyph (like the old style 3D effect), Single (uses one camera) and Side by Side (shows images side by side). The Optimus is ideal for video calls since it has a 2 megapixel front facing camera. You can also take regular video in High Definition and use the camera for photos. There’s an LED flash for taking pics in low-light conditions. 32 GB of storage should provide plenty of room for your snaps and videos. A speedy 1 GHz processor and 1 GB of ram powers Android’s “Honeycomb” operating system on the tablet. Browsing the web and updating Facebook is quick. Thanks to a Tegra graphics chip, you can even play some cool console-like games. A music and video player are pre-installed, along with a copy of Polaris Office for viewing and editing office documents, and a 3D camcorder app. There are thousands of apps to download from the Android store, too. The usual tablet/smartphone connections are found on the Optimus – USB, Bluetooth, HDMI, 3G and Wi-Fi. There are thousands of Wi-Fi hotspots to access whilst out and about, so you can always check Twitter and Facebook on the move. The battery should last a day or so, depending on usage. The LG Optimus Pad is a great tablet if you are looking for a top of the range device. The 3D camera, fantastic screen and speedy processor make it a compelling purchase for anyone after a laptop alternative.